Extra Vehicle Details: The ideal family wagon? It seems these vehicles are designed and built for South African conditions and our outdoorsy families. 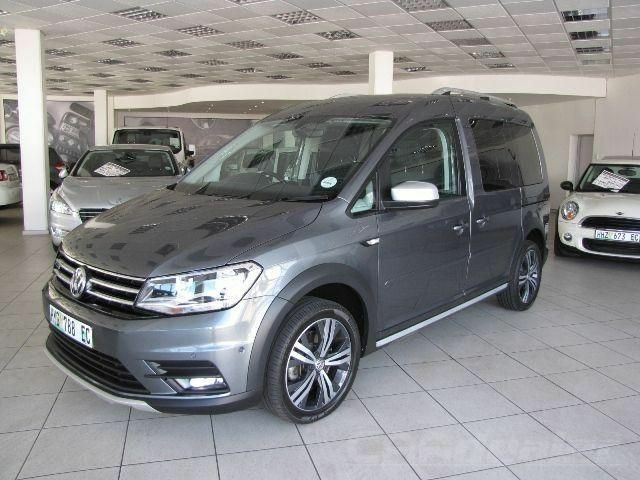 This 2017 Volkswagen Caddy4 2.0 TDI ALLTRACK DSG (103kW) is in excellent condition to make it your next dream family vehicle. It carries the Balance of 3 year/120,000km Factory Warranty and the Balance of 3 year/60,000km Service Plan. This fantastic machine is equipped with a Towbar; PDC front and rear; cruise control; aircon with Climate Control; remote central locking; Touchscreen Media Interface; audio with AUX, USB and Bluetooth input; Park Assist; automatic headlight and windscreen wipers; daytime driving lights; Chrome Package; multifunction steering wheel controls; convenient storage drawers under the front passenger seats; Hill Start Assist; and a long list of standard safety systems. Make it yours.